Schools will soon be out for the summer, giving children everywhere the opportunity to spend more time with their grandparents. If you are grandparent, you are most likely thrilled at this prospect, but perhaps a bit concerned about how to keep your grandchildren entertained while you are together. 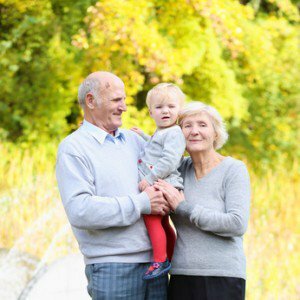 Below are some suggestions for both indoor and outdoor activities your grandchildren will love. There is nothing better than a warm sunny summer day. When the weather allows you to go outside, try some of these activities with your grandchildren. Take your grandchildren to a local shop and allow them to pick out some vegetable seeds to plant. Then, plant the seeds together in your garden. You can have fun all summer as you watch the vegetables grow, and enjoy the bounty of fresh produce they provide. Create an old-fashioned lemonade stand in your yard. You can teach your grandchildren how to make lemonade as well as to appreciate the value of a dollar. Visit the zoo. It is a wonderful opportunity to sneak in some education while your grandchildren are having fun. Purchase some inexpensive kites and take your grandchildren to fly them in a local park. Create a scavenger hunt for your grandchildren. Give them collection baskets and a list of items to find in your yard. These can include natural items such as leaves of a certain shape, an acorn, a feather, etc., as well as prizes you have hidden throughout the yard. When the summer temperatures start to climb dangerously high, or when you have a rainy day on your hands, there is still plenty of fun to be had indoors with the following activities. Grandchildren love to look at baby books and listen to stories. Pictures of when they were born will be of interest, but they will especially love seeing pictures of their mother or father when they were kids and hearing about the different milestones in their childhoods. Teach your grandchildren how to play your favorite card games, as they will really enjoy having an activity they do just when they are with you. On the other hand, children also love it when adults are willing to play video games with them, so ask your grandchildren if there is a game they would like to teach you. You can always rely on the old standby of baking to keep your grandchildren occupied. They will love learning about how to bake, having access to old family recipes, and of course, helping you eat the results. Take your grandchildren to the library. It is a wonderful time to introduce them to the world of books and everything a library can offer them. If your grandchildren are younger, check the library schedule to see when they are offering story hours. If your grandchildren are older, suggest selecting a book that you can read together and discuss. Show your grandchildren your jewelry box. It is likely that you have built up a good collection of jewelry and maybe you’ve also tucked away some very special valentines cards you’ve received over the years, and many of these pieces have stories behind them. Just as with the photo albums, your grandchildren will love hearing the stories you have to tell, especially about those special cards. They probably will think valentines for elderly people never even existed!